When three sudden deaths befall members of a small law firm, Karen Dunmore begins to suspect that they may be retribution for a terrible crime and its subsequent cover-up. Fearing for her family’s safety, she desperately tries to convince her husband and his associates to take action. But will it be too late? Pushing the envelope for its eighth entry in the 48 Hour Film Project, Tohubohu ventured into the horror genre, under the mandate that whatever we produced would fall within the boundaries of a PG-13 rating (so no resorting to slasher-film clichés). 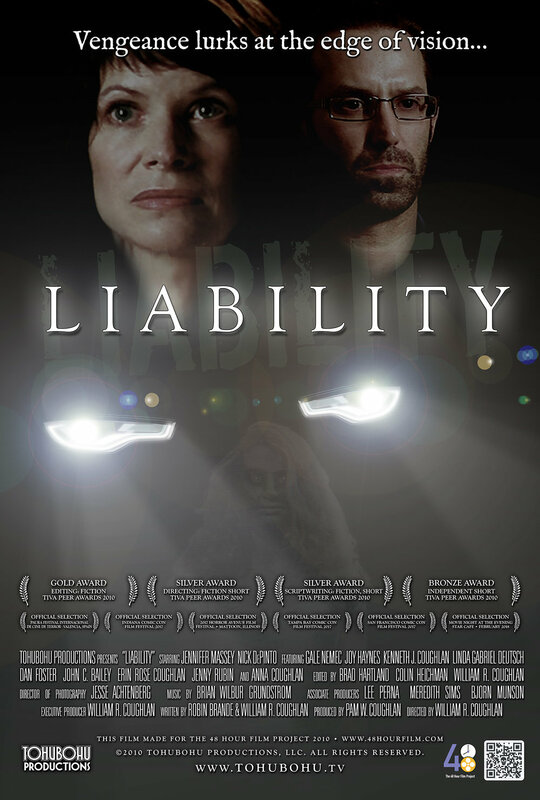 With a script co-written by Robin Brande and director Wiliam R. Coughlan, “Liability” was produced entirely across the weekend of April 30th through May 2nd, 2010. The film premiered at the AFI Silver Theatre on Wednesday, May 5th. 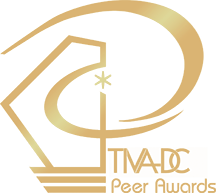 At the 2010 TIVA Peer Awards, the film took home a Bronze Award, two Silvers, and one Gold.